From Aix to Marseille via the A8 motorway: Exit Antibes-Grasse-Sophia Antipolis then take the direction of Sophia Antipolis. 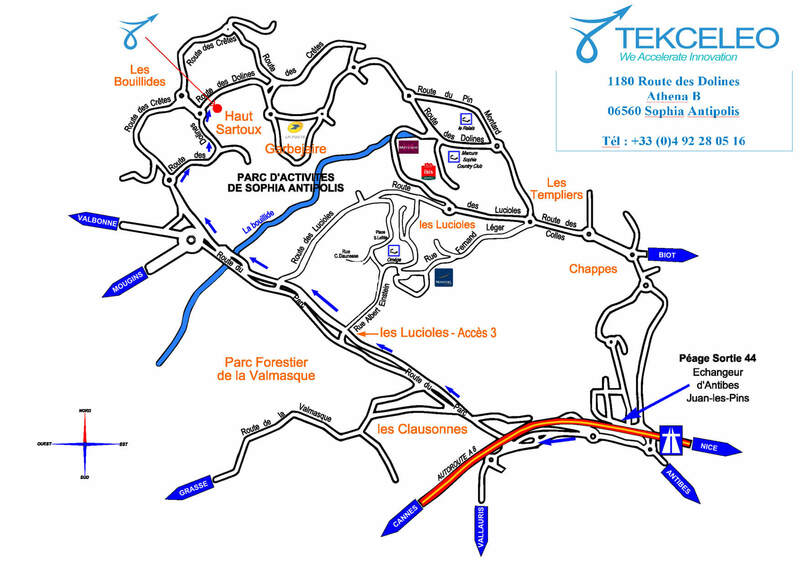 From Nice via the A8 motorway: Exit Antibes-Grasse-Sophia Antipolis then take the direction of Sophia Antipolis. For info: the nearest train station SNCF is in Antibes. Arrival at aéroport de Nice-Côte d’Azur 20km from Sophia Antipolis (flight schedules, access, parking, bus guide).